Location, Location, Location East Lake Woodlands! A beautiful, 3 bedroom, 2 full bath, 2 car garage villa. This Villa sits on a quiet cul-de-sac street with no rear neighbors, offering great views of a pond flourishing with nature from your screened in lanai. Privacy prevails! The 3rd bedroom currently being used as an office/den with beautiful built in cabinetry. 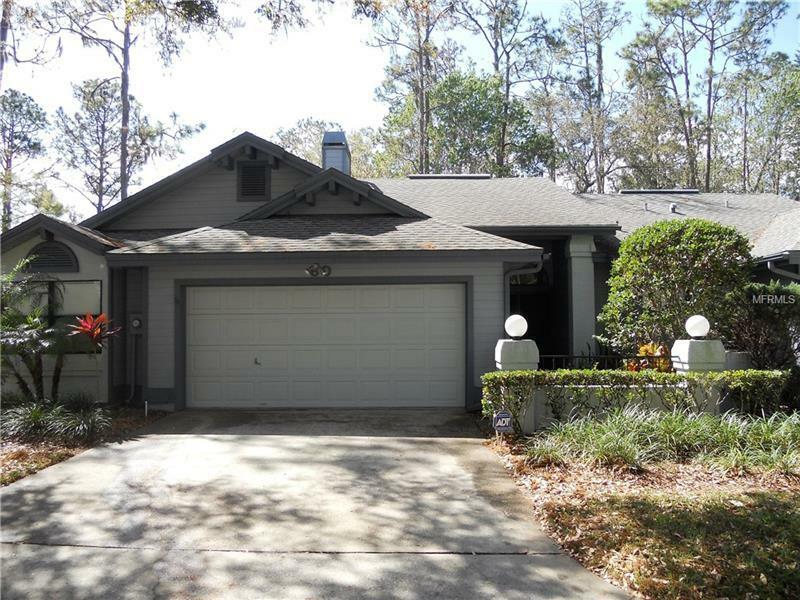 1500+ square ft. with vaulted ceilings, updated kitchen. The spacious Living Area is open with Wood Burning Fireplace. Walk to East Lake Woodland Plaza, grocery, movies, shopping, "A" rated schools, 20 minutes to the airport, 10 minutes to Top Rated Beaches. This stunning villa is move in ready!